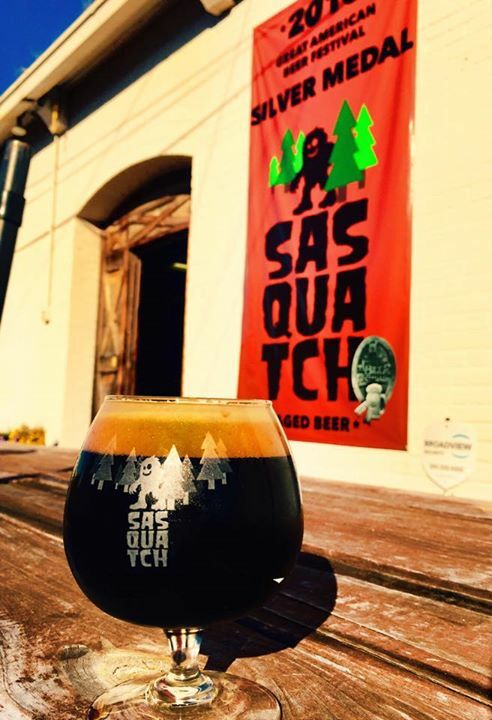 Still riding a high after a 2014 vintage of Sasquatch won a silver medal at this year's Great American Beer Festival, 903 Brewers in Sherman is ready to release a special version of its most popular, and now award-winning beer. Originally introduced in 2014, Sasquatch is the brewery's imperial chocolate milk stout, and it's a beer that's getting the barrel treatment just in time for North Texas Beer Week. According to co-founder Jeremy Roberts, a recent batch of Sasquatch spent two months in barrels supplied by Balcones Distilling of Waco. It's a significant pairing, says Roberts, because "the distillery's barrels are really hard to get. They are small like us, so we were only able to get a limited amount of barrels for this first run." As for how the two Texas companies came together, Roberts says it all happened quite naturally. "We are huge fans of Balcones, and we met the distillers one Saturday at the brewery. They loved our Sasquatch, and the conversation quickly turned to how good we all thought it would be in their barrels. The rest, as they say, is history." Roberts seems happy with the result based on how he describes the finished beer, "On the nose you get whiskey aromas out of the gate, with the first sip adding a lot of vanilla notes from the barrels, backed by a hint of whiskey in the taste. After that, Sasquatch takes over giving you the chocolate and roasted malt flavors we all love from the original beer." At total of only 22 kegs of were made, meaning Balcones Barrel Aged Sasquatch will be available on a very limited basis. Additional batches are planned, though, with Roberts indicating that he hopes to get the beer into bombers for retail sale sometime in January. For now, though, 903 fans will have to try and tame the brewery's newest beast during North Texas Beer Week events occurring over the next ten days (though, if you miss it don't despair, Craft & Growler will tap it post-beer week on Wednesday, December 2). Tour & Tasting at 903 Brewers in Sherman, 12 p.m.
Untapped Festival at Fair Park in Dallas, 2:30 p.m. (click here to purchase tickets). Release Party at Noble Rey Brewing Co. in Dallas, 6 p.m.
Special tapping at The Bearded Lady in Fort Worth, 6 p.m.
Pint Night/Meet the Owner at East Side Denton, 7 p.m.
Sasquatch Side by Side (a keg of Sasquatch aged in barrels from Iron Root Republic will also be available) at Jack Mac's Swill & Grill in Dallas, 7 p.m.
Trivia night at 903 Brewers in Sherman, 5 p.m.
Special tapping at The Bearded Monk in Denton, 4 p.m.